Vinay Nagpal is President of InterGlobix, a global solutions company focused on the convergence of data centers, terrestrial and subsea fiber. Nagpal has over 23 years of experience in developing data center solutions worldwide with a strong focus on networking, connectivity subsea and terrestrial fiber systems. 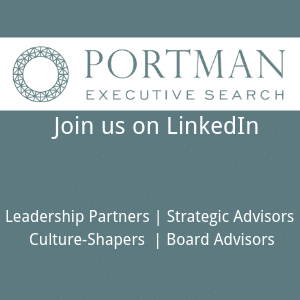 As President, Nagpal is responsible for overseeing all aspects of the company’s day-to-day business and building its Data Center and Connectivity consultancy practice globally. Prior to joining InterGlobix, Nagpal held numerous senior-level positions at data center and connectivity companies including Tata Communications, Verizon, Digex, UUNET and others across the U.S., Canada, London, Singapore, Australia and India. Most recently, Vinay was the Vice President of Product Management at Digital Realty Trust/DuPont Fabros (DFT), where he was responsible for the product development, product management and lifecycle management of DFT’s Hyperscale Data Center product, Interconnection and Managed Services. Data Center POST recently caught up with Nagpal to discuss where the subsea industry is headed, how it’s impacting the data center industry and how the company is keeping pace with a fast-moving market. Data Center POST, Kathy Xu (DCP-KX) Question: Tell us about InterGlobix LLC: What do you do and what problems are you helping to solve in the market? InterGlobix, Vinay Nagpal (IG-VN) Answer: InterGlobix LLC is a global solutions company focused on the convergence of data centers, terrestrial and subsea fiber. 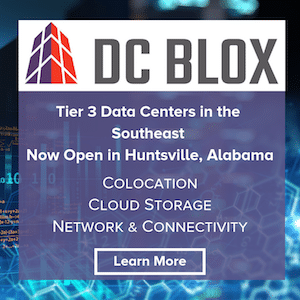 InterGlobix offers strategic business consulting and marketing solutions for the data center and connectivity industries. 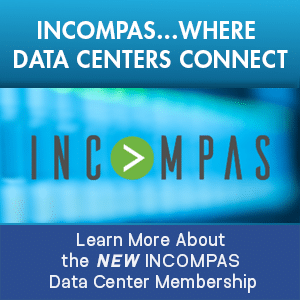 The data center industry has been experiencing global exponential growth. At a macro level, we as consumers of data are employing data in ways we’ve never before experienced – such as Internet enabled watches, wearable tech, driverless cars, refrigerators, toasters and microwaves. We are also generating data at an extremely rapid pace. This data needs to get from one device to the other almost instantly and be stored in a safe, secure and highly-connected data center. The journey of the data from a mobile device to a cell tower, to terrestrial backhaul to subsea fiber to a cable landing station and to a data center encompasses various facets of connectivity and interconnection along the way. 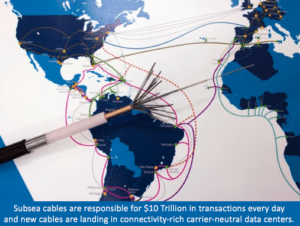 Our focus at InterGlobix is to simplify these connectivity elements for our customers and provide solutions that are comprised of data center interconnection, subsea fiber and terrestrial fiber. Our solutions are focused on the convergence of data centers, terrestrial fiber and subsea fiber. This includes data center interconnects, management of Cross Connect systems and MMR design and deployment. We have special focus on the establishment of carrier-neutral colocation, which has the ability to act as a CLS (housing the PFE and SLTE gear). Carrier-neutral colocation also allows for terrestrial fiber providers, IX, Cloud providers, MSOs, CDNs to co-exist and interconnect in a secure and flexible environment, thereby building a robust Subsea Colocation Ecosystem. InterGlobix also owns InterGlobix Magazine, which is the industry’s first-of-a-kind magazine focused on Data Centers, Connectivity, Luxury and Lifestyle. DCP-KX Q: What major trends and technologies do you see affecting the subsea space currently and in the future? IG-VN A: Subsea industry is going through a major resurgence and paradigm shift at the moment. The resurgence is exemplified by the fact that the number of subsea projects currently underway globally is the highest ever in the existence of subsea cables. Subsea cables have existed for over 160 years, forming the backbone of communications voice and data communications and truly anchoring the modern-day Internet. These subsea cables have evolved from supporting telegraphic transatlantic transmissions in the 18th century to supporting mission critical applications, infrastructure and the digital economy of the 21st century. The subsea cables today account for over $10 Trillion in global commerce transaction each day. The subsea bandwidth is growing at 40 percent CAGR globally. 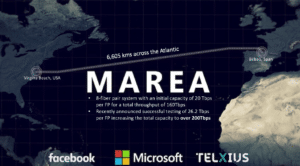 The latest trans-Atlantic subsea cable to be operational is MAREA, which was newly operational last year. MAREA is an “open access system” and jointly owned by Microsoft, Facebook and Telxius. There continues to be a growing trend towards “open access systems,” which means that the open access design offers the ability to upgrade equipment as new technology evolves to increase the throughput of the subsea system. As an example, MAREA is an 8-fiber pair system, with each fiber capable of 20 Tbps throughput (Infinera recently announced successfully testing 26.2 Tbps throughput per fiber pair). The industry is now headed towards 30 Tbps per fiber pair with new optical technologies. Additionally, subsea cable manufacturers are working on 12/16/32 fiber pair subsea cables for unrepeated systems. On the commercial side, subsea operators are offering flexible options including entitlement, flexible leasing options of 12/24/36 months and flexible IRUs ranging from 5 to 20 years. 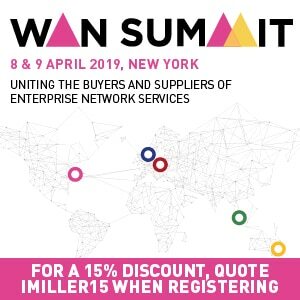 There is emphasis on SDN-enabled service delivery and fast provisioning of customers’ services to facilitate the rapid deployment of on-demand services. Subsea operators are offering innovative products such as ½ and ¼ pair Dark Fiber pair and Managed Spectrum services. This gives the customer the flexibility to deploy wavelength equipment of their choice and upgrade their equipment and throughput on a timeline that meets their business requirements and budget. Customers can start from a 10G deployment and upgrade to 100G and beyond at their own pace. Subsea operators prefer to land their cable at a “POP” or at a colocation site/data center (as opposed to a stand-alone CLS), where there is an existing ecosystem of terrestrial fiber providers — an Internet Exchange, potentially cloud providers, CDNs, MSOs or other access providers — to interconnect with or an ecosystem can be developed over time. Many recent subsea projects are referred to as “POP to POP,” with emphasis on Data Center Interconnects. You will see more and more partnerships being established between the subsea operators and data center operators. There is also a rapid shift in the subsea industry from the subsea systems being owned and operated by large (at times 15-20) consortium lead international carriers to now much smaller (2-3) companies which would mostly be content providers/OTTs and may or may not include a carrier. Content providers and OTTs have been deeply involved in the subsea cables in the last few years. Presently their investments in subsea cables includes – Google (14), Facebook (10), Microsoft (4) and Amazon (3). This trend is likely to continue in the foreseeable future. DCP-KX Q: What new developments and initiatives can we anticipate from InterGlobix in 2018 and beyond? IG-VN A: In 2018 we are going to be focused on getting our company established in the industry. Our company strategy will be to service our customers’ requirements in the realm of data centers, terrestrial fiber and subsea fiber convergence. 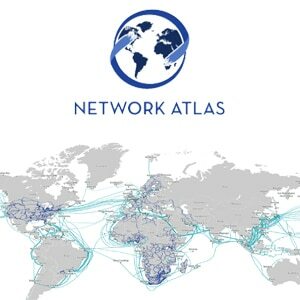 You will see us work closely with network providers and SDN-based companies that are focused on seamless subsea to terrestrial handoff with the ability to help customers distribute their traffic at the Edge of the network. 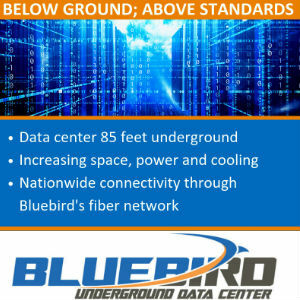 We are also focused on supporting the data center industry (operators and end-users) by evaluating fiber availability as part of the site selection process and helping companies dealwith local municipalities regarding permits for conduit systems that are needed for installing fiber optic cables. We assist companies in developing and executing an overall connectivity strategy, which comprises ofCross Connect management system, conduit system designing, construction & operationalizing, dark fiber networks, lit network carriers, Internet Exchanges, MSOs, CDNs, Cloud on-ramps, as part of their data center build/expansion plans. We will be launching the first edition of the InterGlobix magazine before the end of the year. Aiming to be an indispensable guide for industry enthusiasts, InterGlobix Magazine brings to its readers an interesting blend of upcoming trends, latest design innovations, advances in alternative power sources, subsea and terrestrial fiber growth areas. The readers will get an opportunity to discover inspirational behind-the-scenes fables and facts. DCP-KX Q: Why is Submarine Networks World such an important industry event for you and your company? IG-VN A: Submarine Networks World is the leading industry event for the subsea industry. It is an event where subsea leaders from all over the globe converge, and in 2018 there are 600+ industry leaders attending from 300 organizations around the world. The content at the event is very forward-looking and provides a fertile ground for discussions about the current happenings in the industry and also more futuristic projects, trends, technologies and business models. 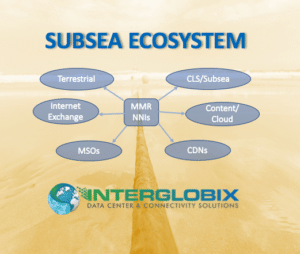 InterGlobix is proud to partner with Submarine Networks World, as it resonates with our company’s theme very well. This year SNW’s theme has been “Evolving Ecosystems.” This theme reflects the vigor, innovation and change that is observed in the industry at the moment. The event also provides us with a unique opportunity to meet with executives in the subsea industry and discuss their projects and business development opportunities. InterGlobix’s focus area is to help companies in the convergence of data centers, subsea and terrestrial fiber. This conference is important to us as we are closely following and engaged in the rapidly evolving subsea landscape both from a technical and a business model stand-point, along with its implications to the data center and terrestrial industries. The scope of this event is truly global. Some of the new major subsea projects covered at the event include: HAVFRUE/AEC-2, Hong Kong-Americas, JUPITER, HAWAIKI, Southeast Asia-Japan 2, South Atlantic Express (SAEx-1 and SAEx-2). DCP-KX: Thank you for chatting with us Vinay. To learn more about InterGlobix, visit www.interglobix.com.